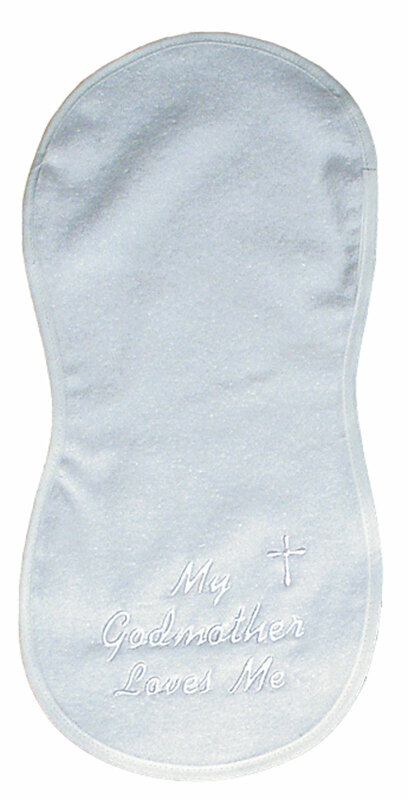 "My Godmother Loves Me" is an embroidered burp cloth that will really protect all those beautiful Christening gowns and outfits on the big day and many other days to come. 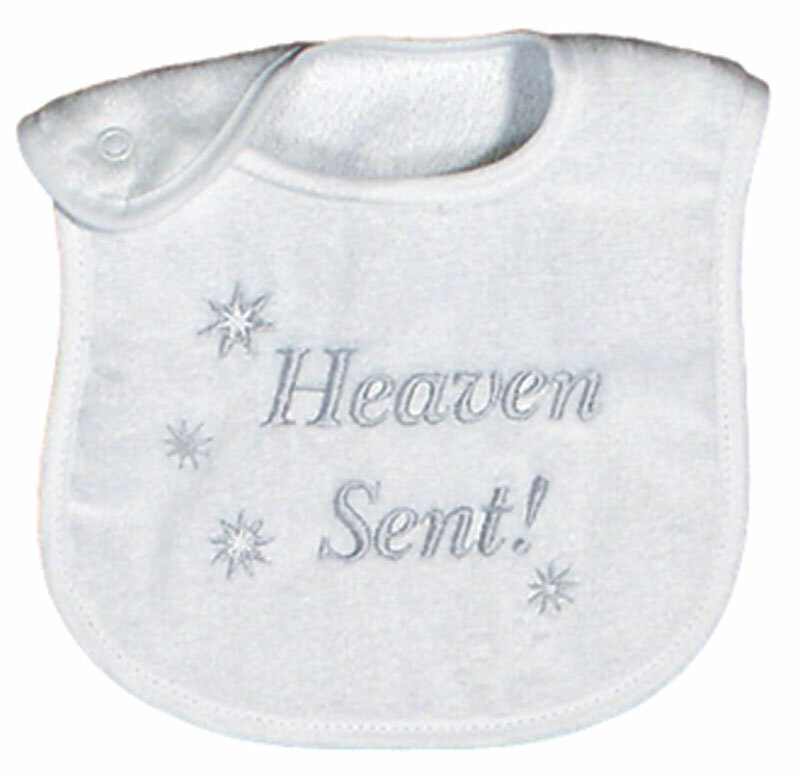 All of a baby's basic needs and more are met in this, made in America, embroidered, 100% cotton velour terry burp cloth. 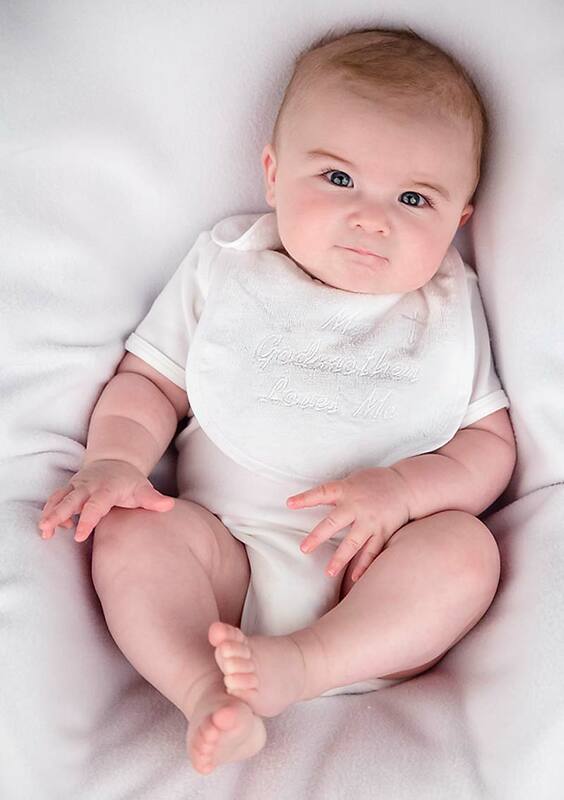 Why is this top quality burp cloth so supper absorbent and soft next to baby's delicate skin? Because there is no polyester in our fabric. It will continue to wear and wash beautifully and coordinate with a multitude of clothes. There is a matching Godmother bib and a matching body suit. 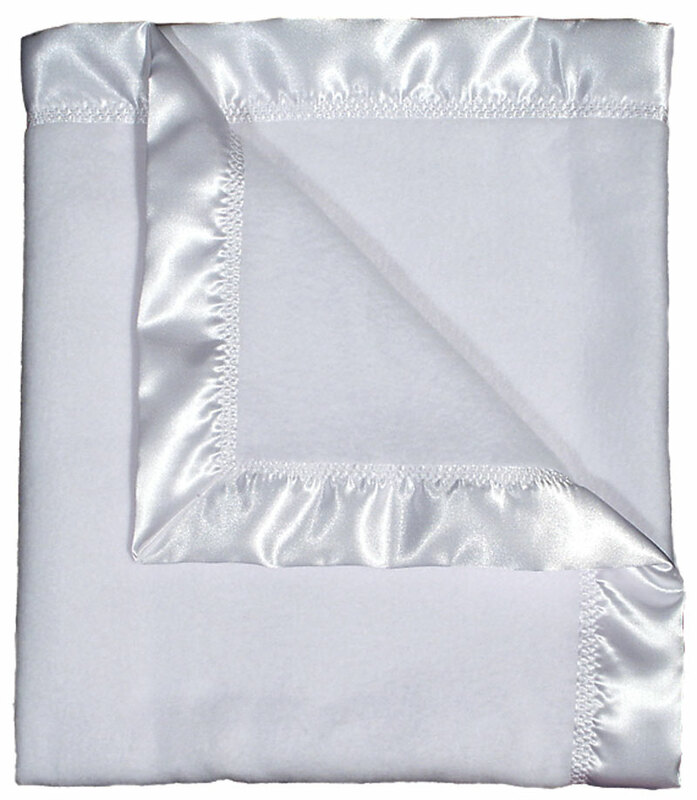 This white burp cloth is unisex, which is for a girl or a boy, and there is a Godfather version as well.